4 Bedroom Detached House For Sale in Polegate for £1,200,000. 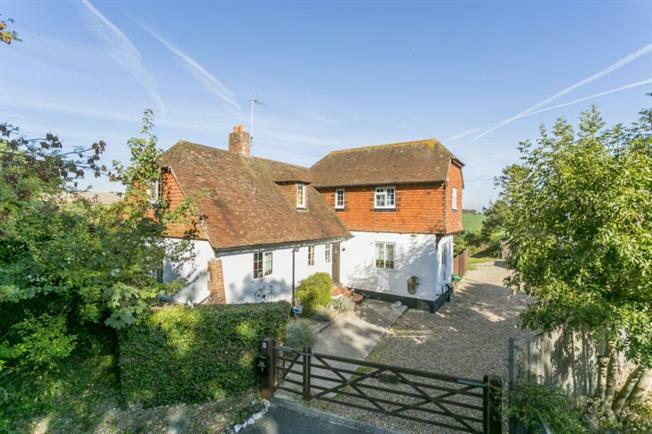 An impressive four bedroom detached Sussex style house built in 1959 with beautiful surrounding rural grounds, outbuilding and stables set within the picturesque village of Alfriston within The South Downs National Park. The property offers exceptional family living and hosts impressive equestrian facilities. The main property features, entrance hall, spacious living room with inglenook style fire place, large 'farmhouse style' kitchen breakfast room with pantry, utility room, beautiful conservatory, w.c. and guest bedroom with en-suite shower room. Upstairs there are a further three bedrooms, the master housing a en-suite shower room and family bathroom. The views from a lot of the rooms upstairs offer stunning panoramic rural views that can be enjoyed all year round.